LXXXIX: Why Does My Face Hate Everything? I’ve been suffering from the same breakout since mid-February. Now that I’ve rid myself of those annoying stressors, I need to rid myself of this annoying breakout. 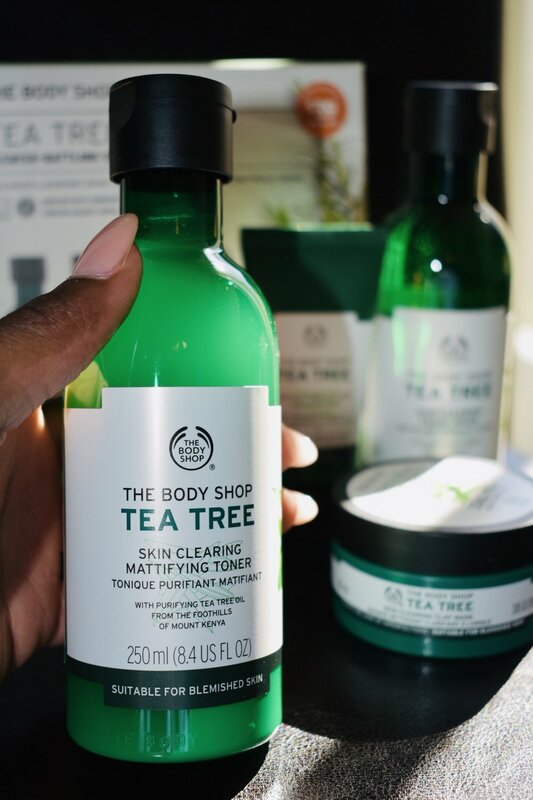 So, I decided to try The Body Shop’s Tea Tree line. This line was talked about alongside Murad’s skincare collection which is what brought it to my attention. So, instead of getting my usual (Murad) I decided to try it out and here we are! This was a vicious breakout and it was more aligned with the kind of breakout that I get during finals time each year, but has lasted much longer. Each pimple hurt like the Dickens and they left horrible dark spots when they’d finally decided to go away (if they decided to go away). Again, I’m used to getting breakouts around finals time, but they usually don’t hurt as much and they don’t leave my skin damaged once they’ve gone away. So, I decided to try a strong product that would quickly get rid of the breakout and blemishes. Another plus, for me, with this product was the fact that they also promised to help mattify the skin as it cleared it. Big bonus for me since I have combination (dry-to-oily skin), right?! Now, I know that, for many, two weeks of product use is not a lot at all. But, for me and while dealing with my skin, two weeks is plenty of time. I am used to using Murad which starts working on the second day of use, so that was the standard for me when I started this product. Upon initial use, I did notice that it started to work quickly, but after about a week I also noticed that my skin was super dry, rough, and blemished. So this product has potential to work and it’s definitely filled with cleansing agents that get into the pores and clear them out. BUT, it’s like it leaves your skin dry, bruised and shriveled afterwards and I do not want that for myself. I’m sure that, from reading, you can see where this post is going. 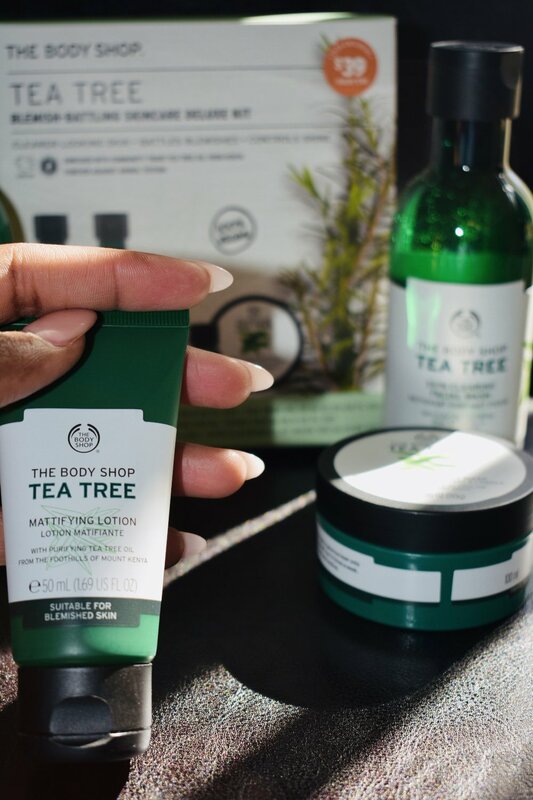 I definitely stopped using these products, packed them back into the box and switched to water and moisturizing oils for a while to restore my skin. I do want to say that I was shocked by how much of this product you get for such a good price ($39 USD). 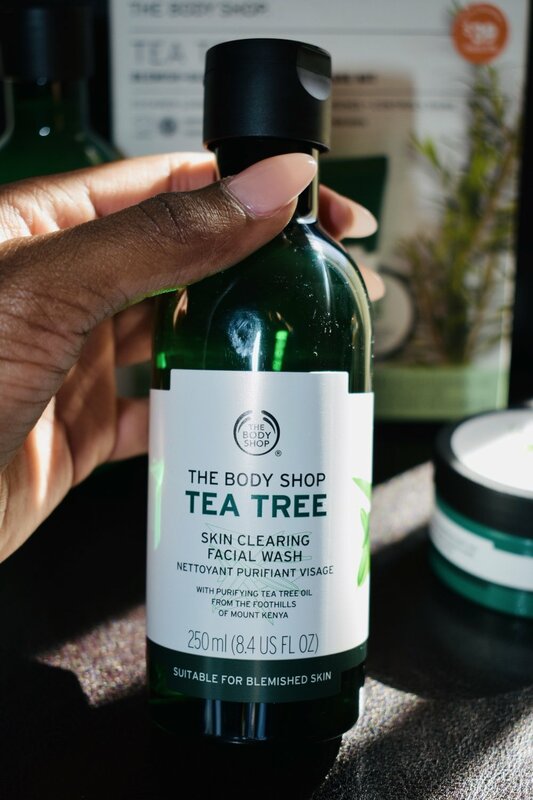 You get a lot of product with this purchase and, if this product goes well with your skin type, then I highly recommend that you invest in these products. But, for me, it just didn’t work. In order to fix the blemishes and dark spots that have formed on my skin because of these products (in conjunction with my break out), I have just been using water to wash my face and I’ll occasionally use Garnier’s Skinactive Micellar Cleansing Water to cleanse my face but apart from that, I’m currently not putting cleansers (medicated or otherwise) onto my face. To help restore my skin, I’ve been using (and am obsessed with) Black Radiance’s Luminous Dry Oil Moisturizer which I LOVE — not just because of its ingredients but because of how it feels on my skin. So, overall, I’m going to say that this line was NOT for me, but I’m sure that there are people out there who lean more towards oily skin who this product. But, if you have combination skin, this product may be too harsh for you. Newer PostXC: How Social Media Has Killed My Chance At A Peaceful Existence?